It is possible for those with dyslexia and learning disabilities to learn to read, write, perform math calculations, learn to spell, remember assignments, develop an excellent vocabulary, comprehend what they are reading, make friends, and complete assignments on time. They can discover their strengths and enjoy healthy self-esteem. 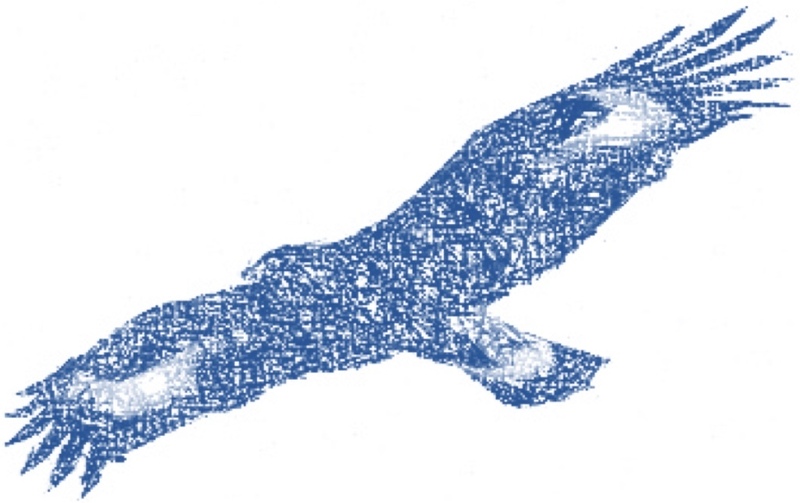 In short, it is possible to overcome learning differences and take flight, soaring into the future with hope and success. And who would not accept help? When given the help needed, those impacted by various learning difficulties can indeed sing for joy. Parents and teachers, among others, do want this for all children! ​On this page I will describe and explain several learning disabilities, but this information is not a recipe for diagnosing anyone for a specific learning difference. The purpose of this page is simply education. You can learn what the various difficulties are named, how they may affect a child, and how—in general—a child may be helped to learn effectively, make progress with their own age group, and positively impact their classroom, school, and community. The two major LDs are dyslexia and ADHD, and they have been given their own pages on this website: ​wingsReading covers mainly dyslexia, and wingsADHD discusses specifically how ADHD has affected me, and may affect someone you know. Let me restate that although I have studied learning disabilities in depth, I do not have a degree in LD and do not consider myself to be an expert. ​​​​​​​​​​​​​My desire in sharing this information here is simply to inform you of other disabilities, and perhaps give you a starting point in helping yourself or your child. I will not cover intellectual difficulties (such as mental retardation), emotional and developmental challenges (such as autism), or physically-based differences (such as cerebral palsy). 'Learning disability' is a classification that includes several areas of functioning in which a person has difficulty learning in a typical manner, usually caused by an unknown factor or factors. Given the "difficulty learning in a typical manner", this does not exclude the ability to learn in a different manner. Therefore, some people can be more accurately described as having a "learning difference", thus avoiding any misconception of being disabled with a lack of ability to learn and possible negative stereotyping. When a child of normal intelligence fails to master the basic schooled skills of thinking, listening, speaking, reading, spelling, writing, comprehending and math, they are considered to have a learning disability. Learning disabilities are neurological differences in processing information that severely limit a person's ability to learn in a specific skill area. That is, these disorders are the result of actual differences in the way the brain processes, understands, and uses information. Everyone has differences in their ability to learn, but people with learning disabilities have severe problems that persist throughout their lives. Children and adults with learning disabilities see, hear, and understand things differently: it is not WRONG, just DIFFERENT. A learning disability is not a problem of intelligence, poor teaching methods, or motivation, and those who have an LD aren't lazy or dumb. In fact, most people with learning difficulties work harder than their peers, and are just as smart as anyone else; their brains are simply wired differently, which affects how they receive and process information. The actual difference is that people with learning disabilities may need a variety of instructional practices to learn effectively. We must teach to them the way they learn, and stop expecting them to learn the way we teach; teachers need new strategies and methods that they are not being taught in their college coursework. Learning difficulties, and their accompanying academic challenges, can lead to low self-esteem, isolation, and behavior problems, but they don’t have to. You can counter these things by creating a strong support system for children with learning differences and helping them learn to express themselves, deal with frustration, and work through challenges. By focusing on your child’s growth as a person, and not just on academic achievements, you’ll help him or her learn good emotional habits that set the stage for success throughout life. Each child is a unique and amazing individual. They may not show all the symptoms of any one particular disability, which is why it is necessary to work with professionals to give your child the most available assistance. Early intervention is critical, so if you suspect that your child is struggling in any area, talk with your pediatrician, teachers and school administrators, who can help you navigate the process for understanding your child's needs. You know your child better than anyone else, so if you think there may be a problem it is worthwhile to ask. Keep in mind that one person may have more than one problem area: for instance, someone with dyslexia may also have auditory processing disorder or attention deficit hyperactivity disorder. Your doctor may need information from your school, as well as anecdotes from your home life and extracurricular activities, to determine a full and accurate diagnosis. There is nothing of which to be ashamed or embarrassed. To view a multi-slide PowerPoint Presentation with details regarding each of these described disabilities, please visit here . ​​​Again I must emphasize that although I have studied learning disabilities in depth, I do not have a degree in LD and do not consider myself to be an expert. ​​​​​​​​​​​​​My desire in sharing this information here is simply to inform you of other difficulties, and perhaps give you a starting point in helping yourself or your child. The most common types of learning disabilities involve problems with reading, writing, math, reasoning, listening, and speaking. Children learn differently, and they need to be taught according to their unique needs and learning styles. However, the same disability can look very different from one child to the next. Some of these difficulties can be experienced from time to time by children who have no learning disability; the time to be concerned is when there is a consistent inability to master some key skills. and trouble finding the right word to name an object or action. and trouble telling time or remembering sequences. may have a messy and disorganized bedroom, backpack and desk. Basic reading problems occur because there is difficulty in understanding the relationship between sounds and letters, and how those combine to make words. This is called dyslexia. A child with dyslexia has a brain difference that makes it problematic for the brain to distinguish how the verbal sounds are mapped to the written symbols for those sounds. Through the past 2-1/2 decades research has proven that a specific teaching model will allow children with this disorder to learn to read proficiently. This has been covered in my webpage wingsTutor and will not be repeated on this page. A child's ability to do math will be affected differently by a language learning disability, or a visual disorder, or a difficulty with sequencing, memory or organization. It varies greatly depending on their other strengths and weaknesses. Dyscalculia may affect such things as memorization of facts (multiplication tables), operation signs, and simple equations, as well as being unable to count by twos or by fives, or having a struggle to tell time on an analog clock. 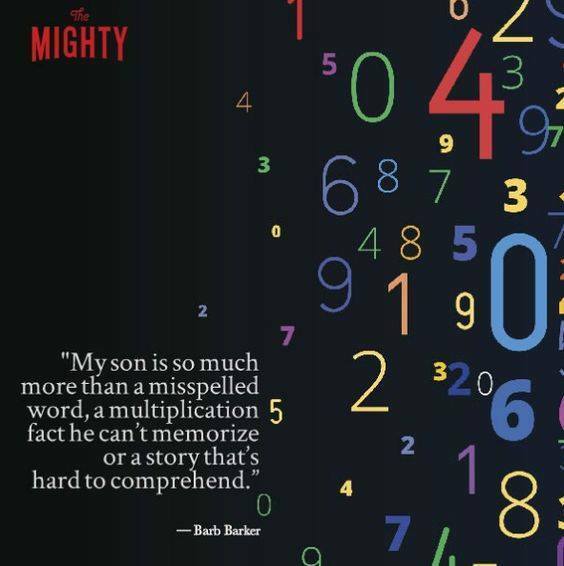 Simple accommodations such as a good calculator will allow a child to display his knowledge of math without the encumbrance of the memorization and organization of numbers and formulas. Dyspraxia refers to problems with movement and coordination, whether the fine motor skills of cutting and writing, etc., or the gross motor skills of running and jumping, etc. A motor disability that relates to the "output" of information from the brain: the brain must be able to communicate with the necessary limbs to complete the task. Your child may have problems with buttoning a shirt or holding a crayon, or other activities requiring hand-eye coordination. Physical therapy is usually required to assist in overcoming this disability. Sensory Processing Disorder, SPD (also called Sensory Integration Dysfunction), is not one specific disorder, but rather an umbrella term that covers a variety of neurological disabilities. The result of SPD is that the child cannot respond to sensory information to behave in a meaningful, consistent way. He may also have difficulty using sensory information to plan and carry out actions that he needs to do, impacting his ability to learn. Inefficient or hyperactive sensory processing leads to poor learning. ADHD, attention deficit-hyperactivity disorder, sometimes called attention deficit disorder, is not officially listed as a learning disability in some states, but is usually considered a health impairment. It disrupts learning through problems with sitting still, staying focused, following instructions, keeping things organized, impulsive actions, relational difficulties, emotional chaos, and completing homework. ADHD is often co-ocurring with other conditions and disorders, and can sometimes mimic symptoms of other disorders making diagnosis and treatment difficult at best. Symptoms vary widely and few children display the same indicators. The best research shows that the appropriate diagnosis and medication greatly reduces these expressions and contributes to the well-being of the child and the classroom. This disorder is covered in more depth on the page wingsADHD, and will not be further discussed here. 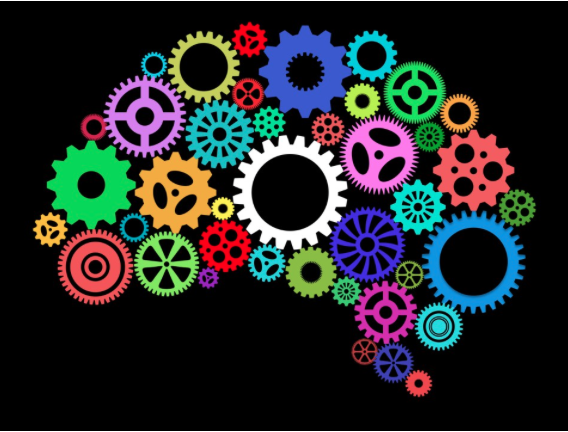 Executive Function Deficit is an inefficiency in the cognitive management systems of the brain that affects a variety of neuropsychological processes such as planning, organization, strategizing, paying attention to and remembering details, and managing time and space. Although not a learning disability, it can negatively affect learning if not treated. Different patterns of weakness in executive functioning are almost always seen in the learning profiles of individuals who have specific learning disabilities, NLD, or ADHD. A key part of the problem of executive function disability has to do with memory: working memory, short-term memory, and long-term memory. With a challenged working memory, a student misses some of the key auditory and visual details presented in class, runs out of steam when reading, slowly and inaccurately takes notes, and struggles to follow multi-step directions. Nonverbal Learning Disorder, sometimes called NVLD. Children with NLD have difficulty understanding nonverbal information, which can result in academic, social, and emotional challenges. Contrary to the name of this disorder, these children often have excellent verbal skills and usually do well in elementary school, delaying detection of their learning disability. Their academic problems come to light as school becomes more complex and implied learning replaces rote learning. This section is still in progress! Thank you for your patience! Think of the electrical wiring in your home. In an older home, you may not have the necessary electrical network to perform all the tasks that life now demands: big-screen TVs, computers, cell phones and wi-fi, intercoms, security systems—you might need to rewire everything to get the "connectivity" you require. Just as insuffient wiring in your home can lead to electrical outages and frustrating down-time, faulty wiring in your brain can disrupt the normal lines of communication and make it difficult to process necessary information. In much the same way as upgrading your home's electrical system, the brain can be re-wired to accommodate changes that need to be made. Under the right learning conditions, the brain has the ability to reorganize itself by forming new neural connections, that will facilitate skills like reading and writing which weren't appropriately wired in the original system. Our brains can learn and change and create new connections where they didn't previously exist. 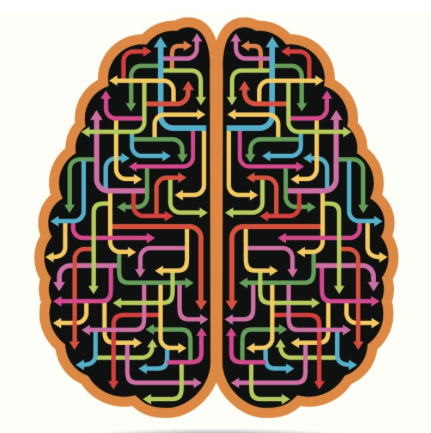 Researchers call this neuroplasticity: the brain's natural, lifelong ability to change. Our amazing brains are able to form new connections and generate new brain cells and new neural pathways in response to experience and learning throughout life. That's what 'brain training' is all about, and it can work for those with learning differences. For example, research has proven that a simultaneously multi-sensory, explicit and systematic phonics teaching system, which is an Orton-Gillingham influenced approach, does work to teach dyslexic people how to read, and most of them will also teach how to spell, write, and understand grammar. Multi-sensory systems are also available for dyscalculia, dysgraphis and others. We now have proven methods for increasing comprehension, improving executive functions, and helping children with social skills. The things that work will be those that take the time and provide the practice to help the brain develop new pathways and connections.